Eduardo Rodriguez Officially Set to Rejoin #RedSox Rotation in Chicago This Weekend. Earlier today, I wrote about how Eduardo Rodriguez looked great in his second rehab start in Portland and how his return to the Red Sox rotation in the coming days was imminent. Well, now we have confirmation from Red Sox manager Alex Cora himself that Rodriguez will be starting against the Chicago White Sox at Guaranteed Rate Field this Saturday. So, there you have it. After spraining his right ankle on July 14th, it will have taken the left-hander exactly seven weeks to return to a big league mound once we reach Saturday. In his career against the White Sox, both of which have come at Fenway Park, Rodriguez owns a 3.75 ERA and a 1.00 WHIP in a total of 12 innings pitched. Opposite of the Venezuela native on Saturday will be another left-hander in Chicago’s Carlos Rodon, who has surrendered two runs or fewer in 11 of his 14 starts this season. Author Brendan CampbellPosted on August 28, 2018 Categories Baseball, Sports, UncategorizedTags Baseball, boston, carlos rodon, chicago, eduardo rodriguez, mlb, portland sea dogs, red sox, white soxLeave a comment on Eduardo Rodriguez Officially Set to Rejoin #RedSox Rotation in Chicago This Weekend. Eduardo Rodriguez Tosses Another Four Scoreless Innings in Second Rehab Start in Portland. Last Monday, on August 20th, the Red Sox sent LHP Eduardo Rodriguez out on a rehab assignment to Double A Portland. In his first in-game action since spraining his right ankle on July 14th, the 25-year-old failed to give up a single run on just one hit while walking two and fanning eight in four frames of work against the New Hampshire Fisher Cats. Great first step for Rodriguez, and he was back out there Monday night for the Sea Dogs once again. Pitching another four innings yesterday, the Venezuela native held the opposition scoreless on two hits, two walks, and six strikeouts in a 12-6 win for Portland. Catching Rodriguez on Monday was Christian Vazquez, who has been on the 10-day disabled list since July 8th and is working his way back from a finger fracture on his right hand. Batting third in the Sea Dogs lineup, Vazquez went 1/2 with a sacrifice fly and two RBI double to finish with three runs driven in on the night. He also caught the first five innings. On the season with the big league club, Rodriguez is 11-3 with a 3.44 ERA in 19 games started. He has not surrendered a run in his last 19 innings pitched and is expected to rejoin the Red Sox rotation in Chicago this weekend. Vazquez, on the other hand, is slashing .213/.249/.300 with three home runs and 14 RBI in 60 games played. He is expected to catch again with the Pawtucket Red Sox tonight and be activated this weekend as well. Author Brendan CampbellPosted on August 28, 2018 August 28, 2018 Categories Baseball, Sports, UncategorizedTags Baseball, boston, christian vazquez, eduardo rodriguez, mlb, portland sea dogs, red sox1 Comment on Eduardo Rodriguez Tosses Another Four Scoreless Innings in Second Rehab Start in Portland. #RedSox Top Prospect Michael Chavis Homers in First Game with Triple A Pawtucket. So, it somehow slipped by me on Friday that 1B/3B Michael Chavis had been promoted from Double A Portland up to Triple A Pawtucket. Pending a counter roster move this afternoon, the #PawSox will add 1B/3B Michael Chavis to their roster. Chavis, 23, is Boston's #2 rated prospect. He was hitting .303 with 6 HR in 33 games since joining Double-A Portland in early-July. Chavis, 23 and ranked as Boston’s top prospect by MLB Pipeline, has been with the organization since he was selected in the first round of the MLB First-Year Player Draft back in 2014. Originally starting the 2018 season with the Sea Dogs, the Georgia native received an 80 game suspension on April 6th for testing positive for Dehydrochlormethyltestosterone, a PED. Since he was reinstated from the restricted list on July 2nd, Chavis has been performing quite well, as he slashed .303/.388/.508 with six home runs and 17 RBI in 33 games with the club. A right-handed hitter, Chavis batted sixth in his PawSox debut against the Buffalo Bisons on Friday night, and he had himself a night to remember. Finishing 3/4 at the plate, the top prospect nearly homered in his first at bat before he went deep later on in the top of the fourth. With one out and a runner on first, Chavis swung at the first pitch he saw from Bisons starter Shawn Morimando and sent it to the opposite field for his first Triple A homer. Since he’s not currently on the Red Sox’ 40-man roster, a corresponding move would have to be made if Chavis were to be a part of September call-ups at the beginning of next month. For now though, it should be fun to watch how the corner infielder adjusts to the new level of competition in the International League. Author Brendan CampbellPosted on August 25, 2018 Categories Baseball, Sports, UncategorizedTags Baseball, boston, michael chavis, mlb, pawtucket red sox, portland sea dogs, red soxLeave a comment on #RedSox Top Prospect Michael Chavis Homers in First Game with Triple A Pawtucket. Eduardo Rodriguez Tosses Four Scoreless Innings in First Rehab Start in Portland. For the first time in over a month, Eduardo Rodriguez saw some in-game action in a rehab start with the Portland Sea Dogs on Monday night. Out since he sprained his right ankle on a play at first base against the Toronto Blue Jays on July 14th, the 25-year-old’s road to recovery has gone quite well and last night was a big step in the right direction. Some feared that he may be forced to miss the remainder of the season, but the fact that Rodriguez is pitching, albeit in a minor league setting, just over five weeks after suffering the injury, is pretty remarkable. Facing off against the New Hampshire Fisher Cats, an affiliate of the Toronto Blue Jays, the left-hander held the opposition scoreless on just one hit and two walks to go along with eight strikeouts in a solid four frames of work. In total, Rodriguez threw 63 pitches, 39 of which went for strikes. Matched up against another young starter on a rehab assignment in Toronto’s Aaron Sanchez, it was the Sea Dogs who came away with an eventual 4-3 win. On the season as a whole, the native of Venezuela owns a 3.44 ERA in 19 games started with the Red Sox. He has not given up a run in his last 19 innings pitched. So there you have it, E-Rod will more than likely make another rehab start sometime in the next week, and the Red Sox will proceed in whatever direction they deem best fit after that. Author Brendan CampbellPosted on August 21, 2018 Categories Baseball, Sports, UncategorizedTags aaron sanchez, Baseball, boston, eduardo rodriguez, mlb, new hampshire firsher cats, portland sea dogs, red soxLeave a comment on Eduardo Rodriguez Tosses Four Scoreless Innings in First Rehab Start in Portland. RECAP: Matt Kent Takes No-Hitter into Sixth Inning as Sea Dogs Blank Curve in 3-0 Win. That’s right, this is a Sea Dogs blog now. But really, I’ve been able to catch a few games up in Portland, Maine this weekend, so I figured I would share a few thoughts on the team in case you haven’t been paying much attention to the Red Sox’s Double A affiliate. Entering Saturday with a measly 52-69 record and sitting in last place in the Eastern League’s Eastern Division, the Sea Dogs certainly have not been world burners this season, but they do house two of the Red Sox’s most promising prospects in third basemen Michael Chavis and Bobby Dalbec. Chavis, 23, is ranked as the team’s #1 prospect and Dalbec, also 23, is ranked sixth, per MLB Pipeline. Batting third and fourth in the Sea Dogs’ lineup respectively in a Saturday night contest against the 66-54 Altoona Curve, an affiliate of the Pittsburgh Pirates, they were who I was looking forward to watching most after neither could do much in a 8-1 loss on Friday. As it turned out though, the star of the night was Portland’s starting pitcher Matt Kent, who is not ranked in the top 30 of Red Sox prospects. Kent, a left-hander who was selected by Boston back in the 13rd round of the 2015 MLB Draft out of Texas A&M, entered Saturday with a 3.52 ERA in 23 games (19 starts) with the Sea Dogs in 2018, and he was fantastic. Pitching into the seventh inning, the 25-year-old Kent sat down the first 11 hitters he faced and proceeded to take a no-hitter into the sixth until Curve right fielder broke it up with a one out single. Finishing with 96 pitches, 55 of which went for strikes, Kent departed with runners on second and third with two outs in the seventh in his eventual ninth winning decision of the season. In 124.1 innings pitched with the Sea Dogs in 2018, Kent’s ERA now stands at a solid 3.33 to go along with a decent 1.21 WHIP and .242 batting average against. Definitely not a big time prospect, but is still someone you should keep your eye on. Speaking of big time prospects, Michael Chavis and Bobby Dalbec played Saturday, as I had previously mentioned, and they combined to go 3/7 at the plate with one extra base hit, one RBI, and all three runs scored. That RBI, one of just three on the night for Portland, came on an RBI single off the bat of Dalbec in the sixth that scored Chavis from first and put the Sea Dogs up 2-0. Jordan Betts and Danny Mars also drove in runs in a 3-0 shutout win for the ‘Dogs. On the season, Chavis, a former first round pick is slashing .303/.400/.515 with five home runs and 15 RBI in 27 Eastern League games. Dalbec, a former fourth round pick, is slashing .320/.407/.720 with five homers and 14 RBI in just 14 games with the Sea Dogs after hitting 26 home runs in exactly 100 games with the High A Salem Red Sox to begin the 2018 season. The Sea Dogs improved to 53-69 with the shutout win on Saturday. They have won seven of their last nine games and will look for the series win tomorrow afternoon at Hadlock Field. Author Brendan CampbellPosted on August 18, 2018 Categories Baseball, Sports, UncategorizedTags bobby dalbec, boston, matt kent, michael chavis, portland sea dogs, red soxLeave a comment on RECAP: Matt Kent Takes No-Hitter into Sixth Inning as Sea Dogs Blank Curve in 3-0 Win. Michael Chavis and Bobby Dalbec Were at It Again for the Portland Sea Dogs on Sunday. A few days ago, I wrote about how Michael Chavis and Bobby Dalbec each hit a pair of home runs for the Portland Sea Dogs in Erie, PA this past Thursday. I talked about how they were two of the more interesting prospects in the Red Sox farm system to watch, and they proved me right once again yesterday afternoon. Facing off against the Akron RubberDucks, the Eastern League affiliate of the Cleveland Indians, and batting third and fourth in Portland’s lineup, the pair of corner infielders were responsible for all six runs scored by the Sea Dogs on Sunday. An RBI single from Chavis in the first and two RBI doubles, one of which was good for two runs, from Chavis and Dalbec in the third had Portland up by four runs early. Fast forward all the way to the top half of the eighth, with two outs and Chavis at first following a HBP, Dalbec put the exclamation point on a fine day for the Sea Dogs by blasting his 31st home run of the season between High A Salem and Double A Portland. That big fly, Dalbec’s fifth in the past week, put the Sea Dogs up 6-2, which would turn out to be the final score in their third win in the last four days. Since he was promoted to Portland on August 3rd. the 23-year-old Dalbec, ranked as the sixth best prospect in Boston’s system, is off to a hot start with his new club, as he is slashing .364/.421/.848 over his last nine games with those five homers and 11 RBI as well. On the other side of the infield, Michael Chavis, 23, has been on a more torrid pace lately, as he was just named Eastern League Player of the Week after hitting .560 in his last six games. 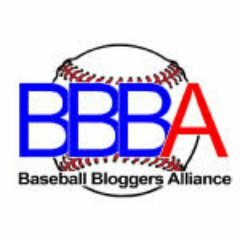 On the season as a whole, Chavis, 23, a Georgia native and ranked as Boston’s top prospect, owns a 1.005 OPS to go along with six home runs in 27 games played between Low A Lowell and Double A Portland. At 49-68, the Sea Dogs will be opening up the longest homestand of their season starting on Tuesday. 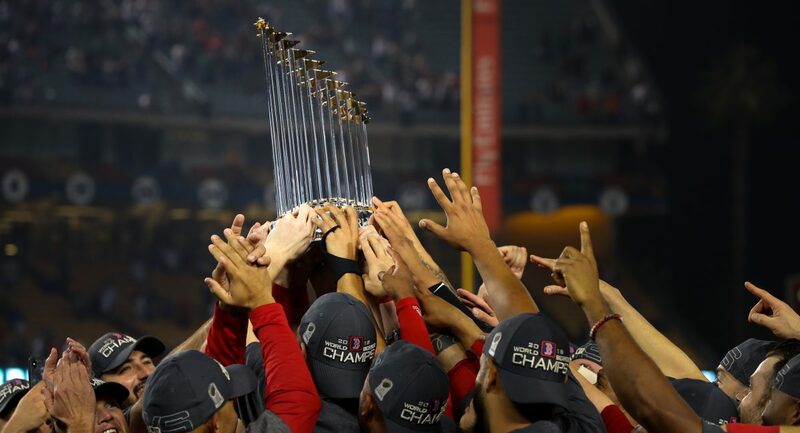 Author Brendan CampbellPosted on August 13, 2018 August 13, 2018 Categories Baseball, Sports, UncategorizedTags Baseball, bobby dalbec, boston, lowell spinners, michael chavis, mlb, portland sea dogs, red sox, salem red soxLeave a comment on Michael Chavis and Bobby Dalbec Were at It Again for the Portland Sea Dogs on Sunday.